This coming week will be a great one for science carnivals. First up is the Circus of the Spineless which will appear on Pharyngula on Sunday—if you’ve written anything about invertebrates in the past month, send the link to pzmyers@pharyngula.org by Saturday evening. The second big event is the next edition of the Tangled Bank, scheduled for Wednesday, 1 February, at Adventures in Ethics and Science. Send links to any science writing to dr.freeride@gmail.com, pzmyers@pharyngula.org, or host@tangledbank.net by next Tuesday. Hey…and if you written something about the science of invertebrates, send the link to both! One last thing…the schedule of future Tangled Bank hosts has been updated with an influx of new volunteers. We’ve got stuff lined up through July; check the list below if you volunteered to see when your turn is coming up. And if you aren’t there and you want to be, send a note to pzmyers@pharyngula.org and I’ll add you to the list. Carl Zimmer reviews the new Darwin exhibit at the AMNH. He has a few complaints, but otherwise it sounds wonderful. If this sell-out goes down, you can call me an utterly disaffected Democrat. I’ve been a voting Democrat since 1976, but if this current gang of slimy myxomycetes can’t even coagulate together enough fiber to fight Alito, they aren’t my party anymore. I wrote to Howard Dean, to Mark Dayton (I even stooped to writing to Norm Coleman…I know, it was a waste of time, but he is one of my senators. I was being thorough)—I told them all it wasn’t enough to just vote “no” on Alito, I want them to fight against the imperial presidency and for women’s rights. I’m in complete agreement with David Neiwert. Last chance, Democratic party. Show me you are going to fight for my interests, or goodbye, and you can stop asking me for donations. Anybody know anything about the Green Party here? Or are they a bunch of blithering incompetents, too? I wonder if the organizers at Yearly Kos are going to retract my invitation if I show up to snarl at Harry Reid. I saw on Muton, and several readers have mentioned it to me, this article about the world’s smallest vertebrate, fish of the genus Paedocypris. It’s a gorgeous translucent cyprinid, so is somewhat related to my favorite fish, Danio rerio. They live in cool, slow moving water in peat swamp forests of Southeast Asia. One female, only 7.9mm long, contained about 50 eggs, so they know it was sexually mature. Living Paedocypris progenetica, CMK 18496, (a, b) male, ca 9 mm; (c) female, ca 8.8 mm. One other clue that these are fully functioning, sexually mature adults are the presence of some pelvic specializations. Males have a hook and flange widget on their pelvic fins, and an odd prepelvic knob. Again, though, without knowing anything about their behavior, we don’t know how these are used in mating and courtship. Wouldn’t it be cool to put a pair under my Wild M3 scope and watch courtship and mating? (a) Paedocypris micromegethes, paratype male, ZRC 49869, 10.4 mm; pelvic fins, anteroventral view, showing hook and flange on anterior ray. (b) Paedocypris micromegethes, paratype, male, BMNH 2004.11.16.1-40, 10.9 mm, ventrolateral view on hypertrophied pelvic arrector and abductor muscles marked by asterisk symbols. (c) Paedocypris progenetica, paratype male, ZRC 43199, 8.5 mm, scanning electronic micrograph of pelvic region in ventrolateral view, arrow points to keratinized prepelvic knob. Of course, in addition to not knowing their generation time yet, these fish have another drawback relative to zebrafish: tiny eggs. They extracted a range of sizes from the ovaries, but assuming the smallest are immature, they max out at around 0.3mm diameter. That’s respectable, but Danio eggs are about 1mm in diameter. Can you tell I’d love to get my hands on a bunch of these little fish? Unfortunately, I’ve heard from fish importers that it is agonizingly expensive and time consuming to bring wild tropical fish into the country, and for good reason: to block invasive species, to prevent the spread of new fish diseases, and also to discourage the plundering of native populations. I may not ever see one of these animals, short of making a trip to Malaysia, and even then I won’t be bringing any home. A nice surprise in the comments: Oliver Sacks and I have something in common. That’s one of my favorite shirts, too. This just isn’t right. 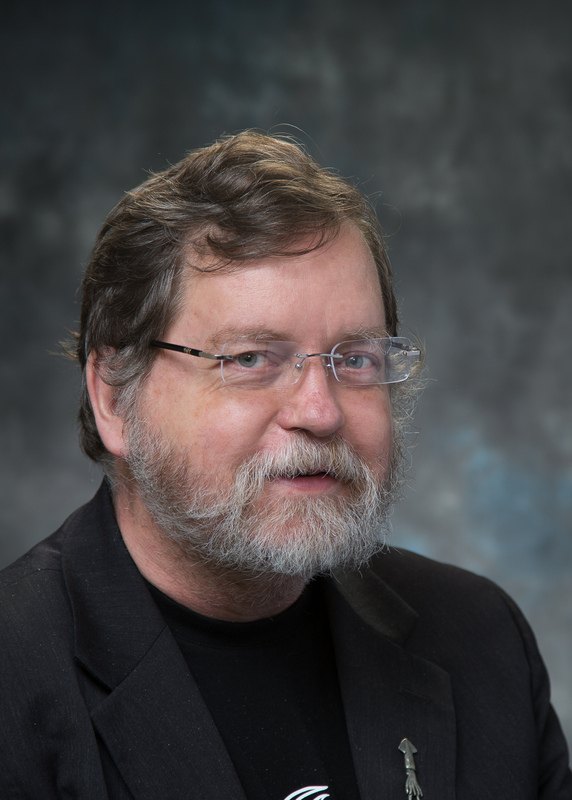 First Ezra Klein subs for Wonkette, and now Glenn Reynolds…why not PZ Myers? Am I too pervy for them? Or was it the lack of wonk? I just got hit by a major wave of comment spam, and it took me while to puzzle out all the tools available in this MT system to purge them. I’m tinkering a little bit with comment settings to try and prevent it from happening again (tip: don’t put lots of links in comments, because they will get held up for my approval before posting), and I’ve clicked a few checkboxes in the settings on. If things get freaky and it doesn’t let you comment, send me an email and I’ll try to fix it. I don’t have all of the textbooks he describes, but I do have the 5th and 9th editions of the above books, and I suspect the figures haven’t changed. Below, I’ve scanned in several of the figures that Wells finds objectionable, and for the most part, they aren’t bad at all, and actually make useful pedagogical points. I suspect that the real reason Wells and other creationists dislike them is that they reveal deep homologies that support evolutionary explanations of the origins of animal diversity. Conservative religious groups are once again making grade school textbooks the battleground. In California, supremacists and revisionists are trying to make radical changes to kids’ textbooks, inserting propaganda and absurd assertions that are not supported in any way by legitimate scholars. The primary effort is to mangle history, but they’re also trying to make ridiculous claims about scientific issues. Such as that civilization started 111.5 trillion years ago, and that people flew to the moon and set off atomic bombs thousands of years ago. Yeah, these aren’t fundamentalist Christians, but Hindu nationalists with very strange ideas—still, it’s the same old religious nonsense. Two groups, the Vedic Foundation and Hindu Education Foundation, have a whole slate of peculiar historical ideas driven by their religious ideology, and are pressuring the California State Board of Education to modify textbooks. They want to recast Hinduism as a monotheistic religion, whitewash the caste system and the oppression of women, and peddle racist notions about Aryan origins. This is what happens when religious dogma is allowed to dictate educational content—reality and evidence and objective analysis all become irrelevant. The earth is neither 111.5 trillion years old, nor only 6,000 years old, and the errors and misperceptions of old priests are not a sound foundation for science. It doesn’t matter whether those priests spoke Sanskrit or Hebrew, since their ideas are the product of revealed ‘knowledge’ rather than critical, evidence-based research, they don’t belong in a public school classroom. Heck, what am I saying? It’s just another idea, right? Let’s teach the controversy and allow orthodox Hindu supremacists to battle it out with fundamentalist Christian dominionists in front of sixth graders. It should be exciting and enlightening.